Indonesia Office System MVP Aris Lesmana has published an e-Book written in Bahasa Indonesia language for the Indonesian community! Aris told us that in Indonesia, not all people especially students have an "always on" internet connection, and that is what motivates him to write a FREE ebook based on his recent article series in TechNet Wiki titled "Mengenal Formula pada Excel" (EN: Introduction to Excel Formula), so anyone now can read his articles offline. 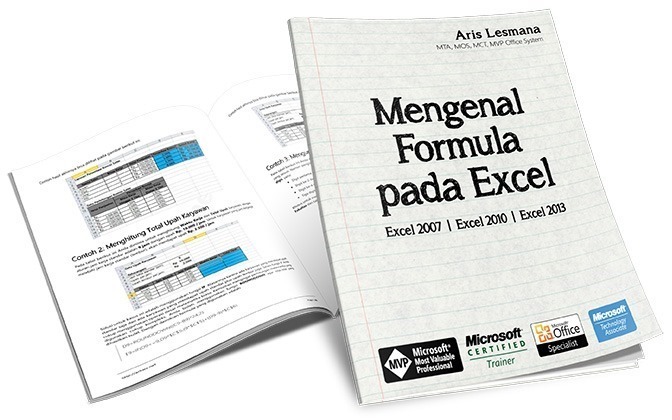 This FREE ebook covers the fundamental concepts about formulas and functions in Microsoft Excel. Each chapters are presented in step-by-step instructions. In the beginning the readers will learn about what a formula is, what a formula can do, and what is the rules when creating a formula. In the next chapter the readers will continue to learn the basic concepts about functions and how to using it in Excel formula, including a lot of examples in real world scenario. The materials in this ebook are more complete compared to the original article in TechNet Wiki and intended for anyone working with Microsoft Excel in their daily activities. The book has reached 687 views to date. Keen to read the book?